So apparently it’s around that time of the year when many wealthy families from the warmer climates of the middle east flock to London, bringing with them some of the most expensive and highly sought after cars in the world. 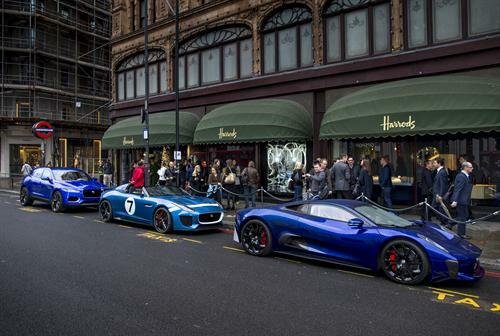 The areas around Knightsbridge are flooded with Bugattis, Ferraris, Lambourginis and the like. Cars that would cost more than some people earn in a lifetime. country, dropping a few £1000k on a car is probably not as big a deal as it would be to some people. After all, wealth and expenditure is relative right? impress someone or convince themselves that they are happy. Back in my early 20’s there was a guy in my circle of friends that decided to go out and buy a top of the range Audi. more than he could afford really. He did it because he thought it would be a great way to attract women…. The sad thing is, it didn’t work. In fact it had the opposite effect. including the high insurance premiums and fuel costs, that his social life was almost non-existent due to lack of funds! Like the guys that invest in themselves by joining my coaching programme, Alpha Man Elite. growth in areas of your life, you need to be sufficiently capable yourself to not only deliver it, but also handle it. That may seem a crazy statement, but look at this way. really trained before (you’re a really busy guy remember), would you walk over to the squat rack, load it up with 250kg and attempt to rep out? No, you wouldn’t. Your strength and physical capabilities wouldn’t match your expectations. At least not straight away. I used to be the kind of guy that would baulk at the idea of having a mentor or paying for coaching. After all, i was a coach myself, why would i need a coach? I now invest in 3 mentors who help me in the areas I want to excel at. Investing in yourself is the #1 thing you can do to secure long term, significant growth, success and happiness. You can do that using the link below.